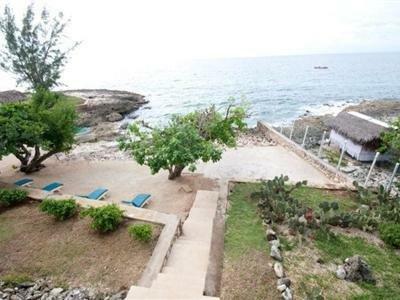 ﻿ Book The Westender Inn (Negril) - 2019 PRICES FROM A$85! Have a question for The Westender Inn? Conveniently located in Negril, The Westender Inn is a great base from which to explore this vibrant city. From here, guests can enjoy easy access to all that the lively city has to offer. For sightseeing options and local attractions, one need not look far as the hotel enjoys close proximity to Rusty’s X-Cellent Adventures, Negril Lighthouse, Abba Jahnehoy Place. The Westender Inn also offers many facilities to enrich your stay in Negril. The hotel offers access to a vast array of services, including express check-in/check-out, Wi-Fi in public areas, car park, airport transfer, family room. The ambiance of The Westender Inn is reflected in every guestroom. television LCD/plasma screen, air conditioning, balcony/terrace, fan, satellite/cable TV are just some of the facilities that can be found throughout the property. The complete list of recreational facilities is available at the hotel, including private beach, outdoor pool, diving, spa, massage. Whatever your reason for visiting Negril, the The Westender Inn is the perfect venue for an exhilarating and exciting break away.